Methodological know-how has become one of the key qualifications in contemporary linguistics, which has a strong empirical focus. Containing 23 chapters, each devoted to a different research method, this volume brings together the expertise and insight of a range of established practitioners. The chapters are arranged in three parts, devoted to three different stages of empirical research: data collection, analysis and evaluation. 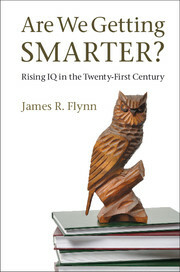 In addition to detailed step-by-step introductions and illustrative case studies focusing on variation and change in English, each chapter addresses the strengths and weaknesses of the methodology and concludes with suggestions for further reading. This systematic, state-of-the-art survey is ideal for both novice researchers and professionals interested in extending their methodological repertoires. The book also has a companion website which provides readers with further information, links, resources, demonstrations, exercises and case studies related to each chapter. 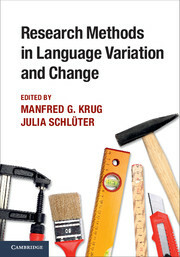 "This comprehensive and clear volume constitutes a 'one-stop shop' for anyone embarking on a research project in language variation and change and will be essential reading for graduate and advanced undergraduate students." --Joan Beal, Professor of English Language, University of Sheffield. 23. Analysing aggregated linguistic data Benedikt Szmrecsanyi. Manfred Krug is Chair of English and Historical Linguistics in the Department of English and American Studies at the University of Bamberg. Julia Schlüter is Associate Professor of English and Historical Linguistics in the Department of English and American Studies at the University of Bamberg.